Drugs that could be the “first” to slow the progression of Alzheimer’s disease have been unveiled on Wednesday. Researchers revealed the promising results of studies into the use of solanezumab and aducanumab. Results suggest that if given to patients early enough, the antibody therapies will be able to slow cognitive decline. Interim results from a safety study of Biogen’s aducanumab, in people with very early stage Alzheimer’s disease, show that the drug reduces the amount of the amyloid plaques in the brain, with an increasing effect as the dose increases. The discovery was announced at the Alzheimer’s Association International conference in Washington DC, USA, which saw studies of three alternative antibody therapies presented. More than a quarter of people on the higher doses experienced headaches and a third to a half experienced abnormalities on a brain scan. 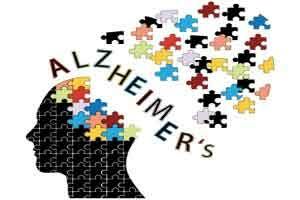 Long-term analysis of pharmaceutical company Eli Lilly’s solanezumab reports that people with mild Alzheimer’s disease, who have taken the drug for 3.5 years, show some benefits in cognition compared to those who have only taken it for two years. Alzheimer’s Society’s head of research, Dr Doug Brown, said: “Today’s findings strongly suggest that targeting people in the earliest stages of Alzheimer’s disease with these antibody treatments is the best way to slow or stop Alzheimer’s disease. “These drugs are able to reduce the sticky plaques of amyloid that build up in the brain, and now we have seen the first hints that doing this early enough may slow disease progression. ‘After a decade of no new therapies for dementia, today’s news is an exciting step forward. Referring to aducanumab, he warned that although the results leaned towards a treatment that could slow the disease, the drug was not without side effects. In relation to solanezumab, Dr Brown added: “It’s good news that some people have been receiving the antibody for over three years and it appears to be having beneficial effects. About 225,000 people will develop dementia this year — a rate of one every three minutes. Alzheimer’s Society research shows that 850,000 people in the UK have a form of dementia, and that in less than 10 years, one million people will be living with dementia. This is expected to soar to two million by 2051.